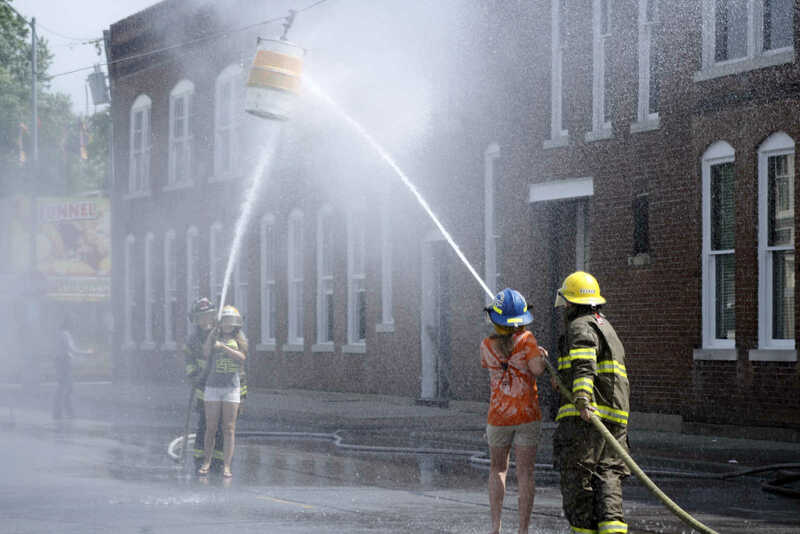 With the help of a Milo firefighter, Hannah Arnold aims to push a hanging keg a line during the Milo firefighters water games. Arnold she enjoyed the game, "but it was really cold." 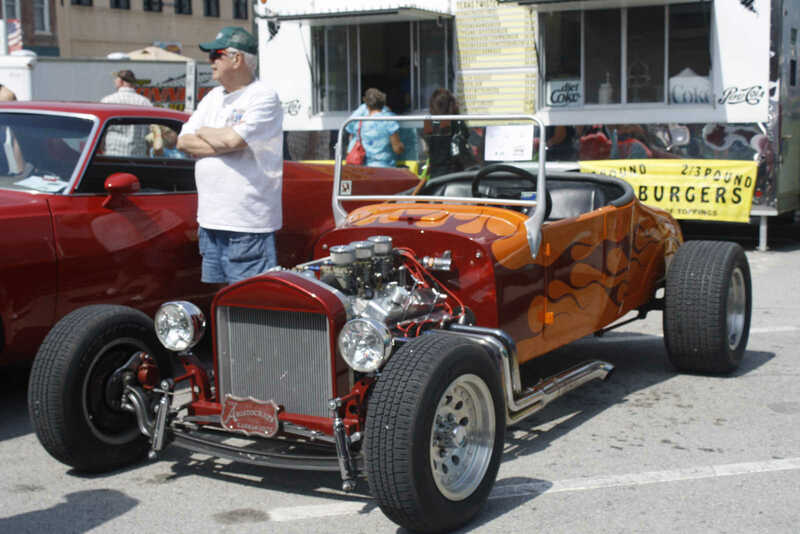 A 1927 Ford Model T Roadster, owned by Jim McCoy was on display at the Bushwhacker Days car show Saturday morning. 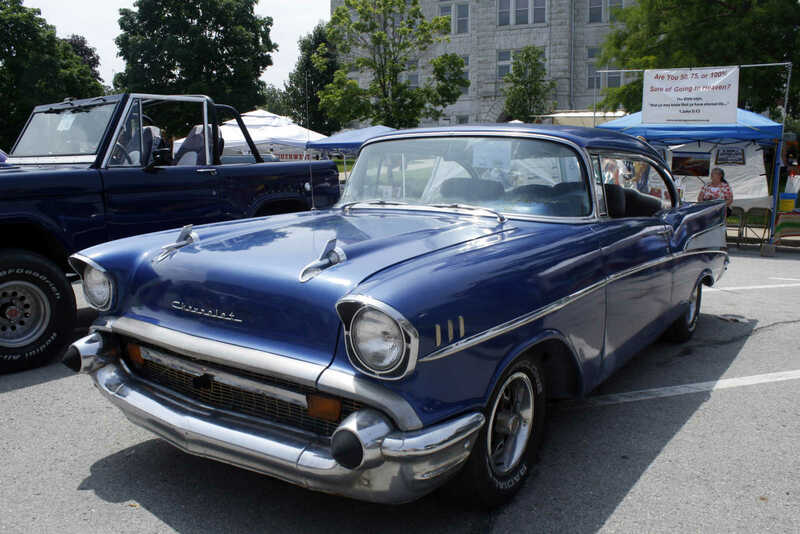 Terry and Devin Weheyer's 1957 Chevy Bel Air was featured in the 2014 Bushwhacker Days car show. 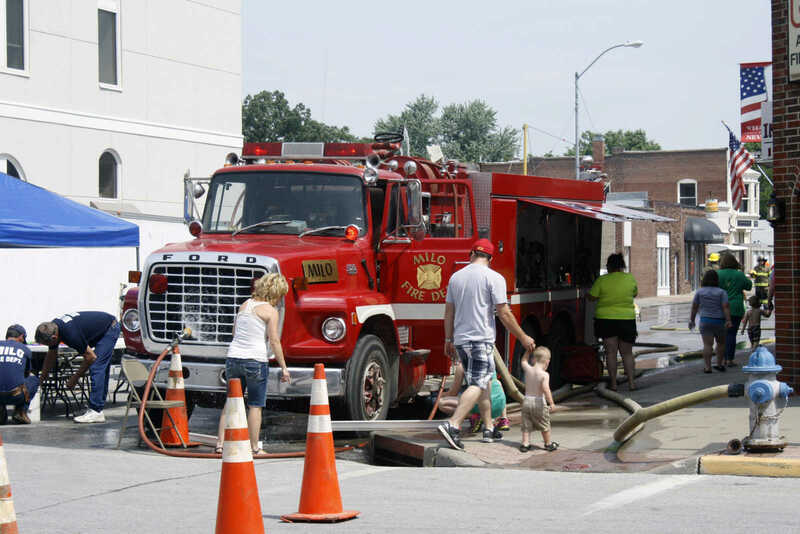 Passersby check out the Milo firetruck, which was put to work Saturday at Bushwhacker Days for the firefighters water games. Amber Weisensee, right, battles friend Hannah Arnold, in an attempt to push a hanging keg to the end of a wire. Arnold won, but both girls said they enjoyed the game despite the cold water.